I would suggest putting a new timing chain on the car. Make sure it doesn't have nylon coated teeth. The bottom of the car looks great refinished. What did the aluminum drive shaft come out of? 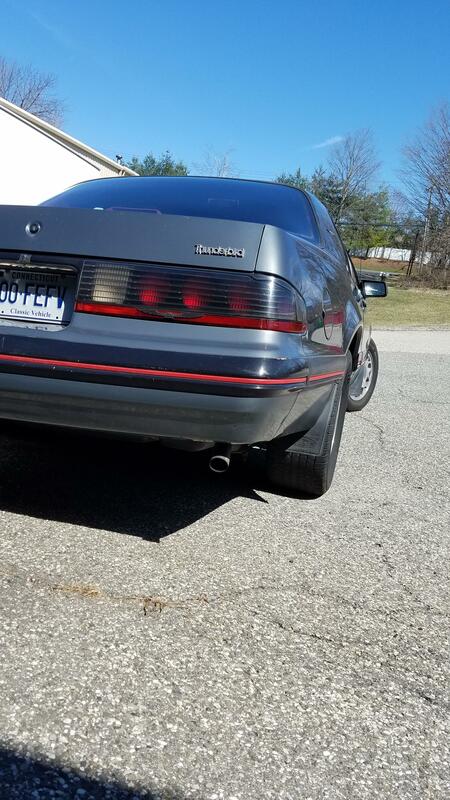 Crown Vic? year? So far the Dakota OBNA-5 car bomb seems to have eliminated the smell. We'll see if I need to do it again in the spring after being closed up. Throw one of these in the car over the storage time. Ive had good luck with them. Thanks Mike! I will try that this winter. Since I have been driving it a bit these past two weeks that cigar smell has seemed to dwindle down in strength. I will try that sponge next winter. I brought my car in to my mechanic to have the clutch changed and I had him put a new exhaust on too. 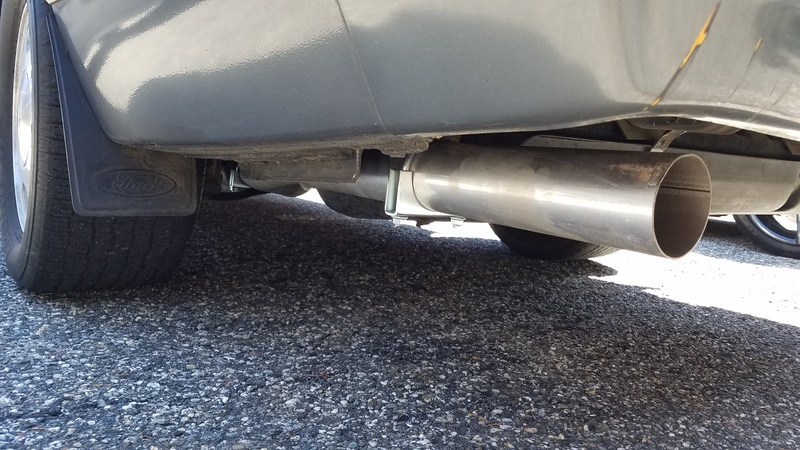 I bought a 3" full Stinger exhaust a month or so ago. My mechanic had trouble putting the exhaust on so I emailed Shannon @ Stinger and within a short period of time he called my mechanic to give some advice. Big kudos to Shannon for giving him a call. I took the car to a muffler shop this morning to have it tweaked and new hangers put on. Sounds pretty good for a 4 cylinder. I used to do everything on my cars myself. I could've spent a weekend on a creeper trying to put the clutch in myself, but in this case I'd rather spend the time with my children. It was the right choice for me especially once I saw that some of the bolts broke and stripped in the bell housing. It would've been the scene out of Christmas Story when the father goes to work on the furnace. I really like the staggered wheels and bumper change. I normally dislike anything chrome but it looks really good one your car. How did you make out with the governer replacement? Did you make it to the race? I drove the car last night with the LED bulbs I linked above. A big improvement over the regular 9004's on low beam. High beam was scattered different and really didn't seem to be much use. Also, the headlight out indicator came on even though they were not. It is odd cause it was not on this morning until later although I had turned on my fog lights by that point. I will see if I can trace down if it is a combination of things on that is triggering the headlight out warning light. 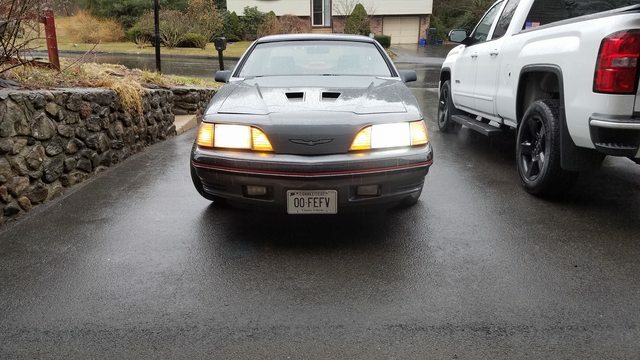 Nobody flashed me that my headlights were too bright. I don't know. The lens is so foggy I can't see from the outside so I would need to remove the assembly to look in from the back. I am guessing it is going to be in not perfect shape. I have to admit I am dreading to open the lens up in fear of breaking something. I am sure the inside of the lens needs to be polished. What have you guys been doing to refurb the mirror portion? Notched the retainer to fit the wire through. I did get to drive the car a bit yesterday before the rain came. I uncovered the car the car a couple weeks ago and discovered some new leaks and one I had been chasing previously. One of the new leaks was from the oil level sensor that the previous owner had disconnected and filled with silicone. The thread size is M20 x 1.5 and I found an oil plug at the local auto store to replace it for the time being. The next leak was an existing one in the plumbing for the remote oil filter. I tightened up the fittings and hopefully that will be enough but I am not holding my breathe. 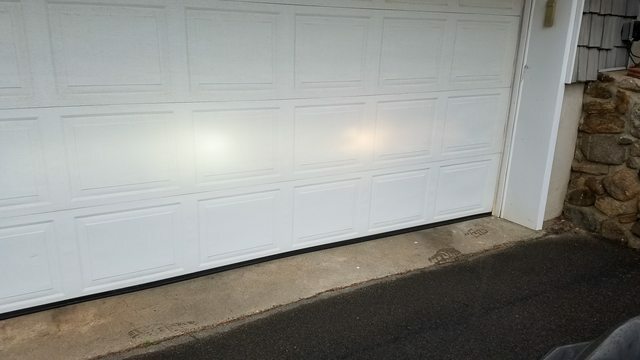 Good news is that I finished the oil change and no spots on the garage floor.....yet. One of the new leaks is transmission fluid color. I believe the T5 uses regular ATF? It appears to be coming out of the larger bolt (low) on the passenger side. I have an appointment for the clutch later this week so I will have him check for the leak and seal. Timing wise I just don't have it to replace the clutch on the garage floor. I had read about the getting the headlight bulb retainers from Dorman too so I got those and I agree the bulb won't cool well with the stock deep retainers. The one problem I found is the LED lights have the wiring come out the side of the bulbs which makes it difficult to get the retainer onto them. I tried to cut a notch into the retainer but cause the brittle plastic to break. I ordered another set and will use a Dremel to make a notch for the wiring loom to go through. I have not polished my headlights. I picked up a kit last night to finish the job, but I am impressed so far just with the light change. I may be a fake ad? A scam? On Google Chrome that is what fixed it for me. Might want to include what browser and operating system for the guys here?